House Music took on a whole new meaning in Midtown Manhattan last night. 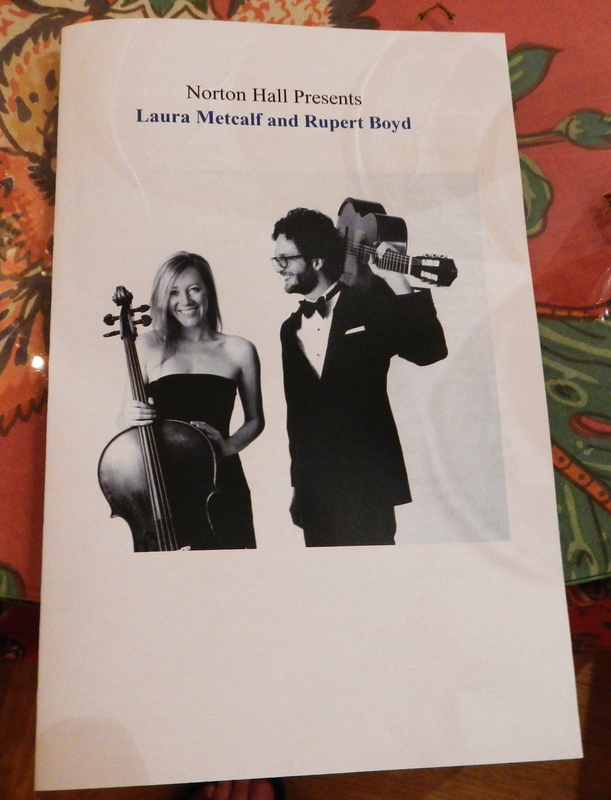 I had the great privilege of being invited to a ‘small house concert’ by Rupert Boyd, who was playing classical guitar, accompanied by his fiancé Laura Metcalf on the cello. The last time I saw Rupert was at his performance in an extraordinarily charismatic church on the upper west side. It was a freezing night and there were hot pipes running under the pews to keep everyone warm – although the music, with it’s emotional Latino rhythms, transcended any earthly connection. 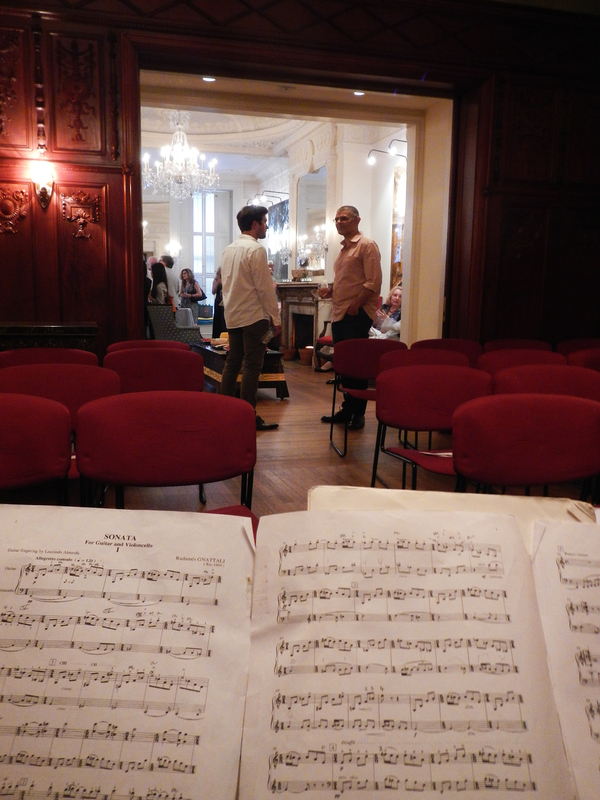 Just as the music was in consonance with the church, so did the 37th street residence fit the repertoire of last night. This was a very superior location for some very superior music. 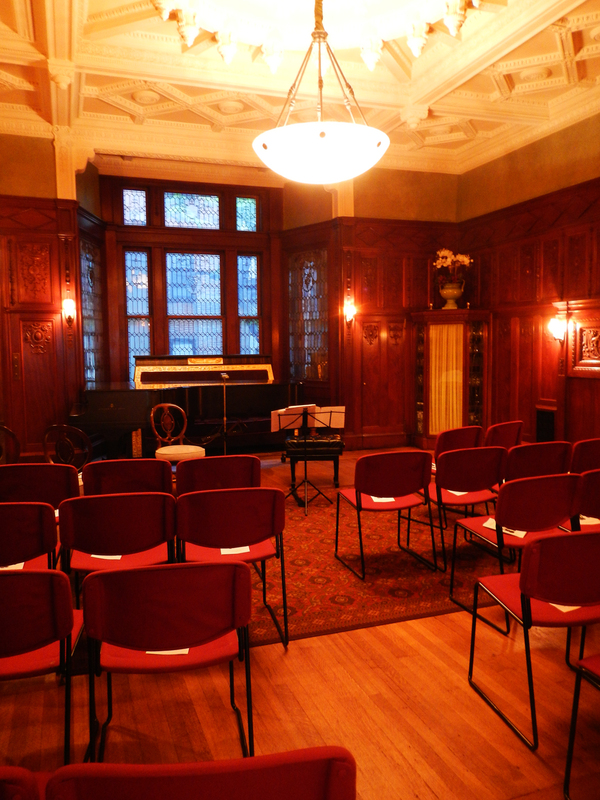 The hosts are patrons of the arts, inviting musicians to perform in their drawing room in the company of their friends. Each performer recommends the next in a constant stream of talent that enjoys the hospitality and generosity of the Nortons, people who would otherwise be strangers. Where else but New York? 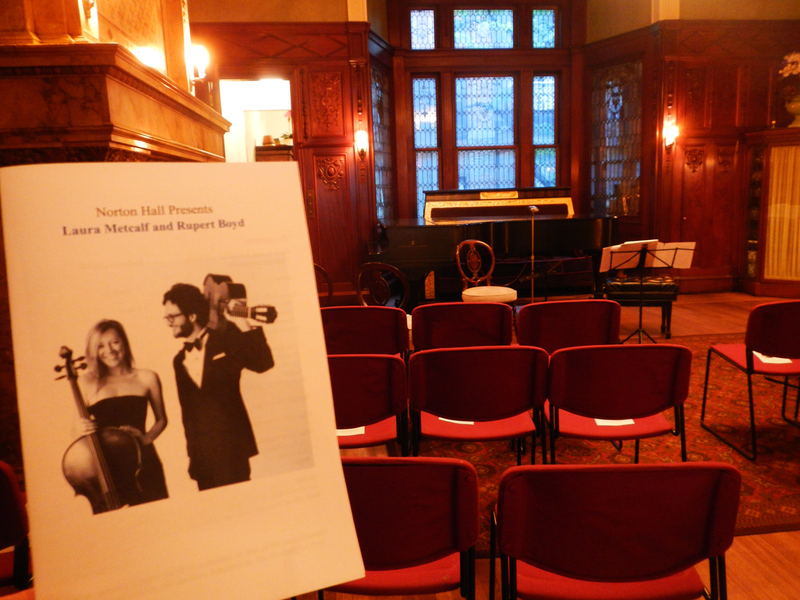 The Steinway was pushed to the back so the duo could relax into the space. Bach was prominent in the program, not just for the beauty of the music, but with a sideways acknowledgement of the German favoritism to win the Cup. Also on the agenda was Rupert’s favorite composer, the very prolific Anonymous. The ease of Rupert’s manner and his casual humour was also in his performance. He didn’t read the music, it just channeled through his fingers, as though it was the easiest thing in the world to do. Perfection is a beautiful thing, and we should be very proud of this Australian artist. Rupert carries a famous name that his contribution will make even more-so, and that’s with his eyes closed…. This entry was posted in art & inspiration, music and tagged Laura Metcalf, Rupert Boyd. Bookmark the permalink. What a fabulous opportunity for you, great pic of Sean too! Fitzy, Heard you with Tony Delroy years ago and now a reader of you illuminating report. Am making my third visit to NY in Oct, passing thru from Nova Scotia, then Washington and on to Virginia to visit friends. Main aim in NY is to walk Brooklyn Bridge both ways. Meant to do it last time both wife fell ill. She was more important. The report continues to wet my whistle. Go girl. Keith Goodman PS will break a leg to visit the Bread Factory on 16th. Thank you Keith and great to hear of your priorities. I’m sure you will enjoy it all the more as a result. Don’t forget to stop at the Brooklyn Ice Cream Factory for a little refreshment, and have a fantastic time!